A bit of a dream, a bit of stories and some parts of imagination are interwoven in this magnificent bouquet. 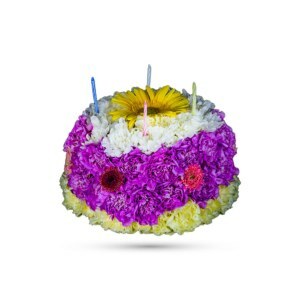 Show how much brighter they make your days with this smiling mix of fresh flowers. Like a little sunshine, our bouquet of delightful flowers, Morning Sunshine, will bring happiness in the dullest of moods. 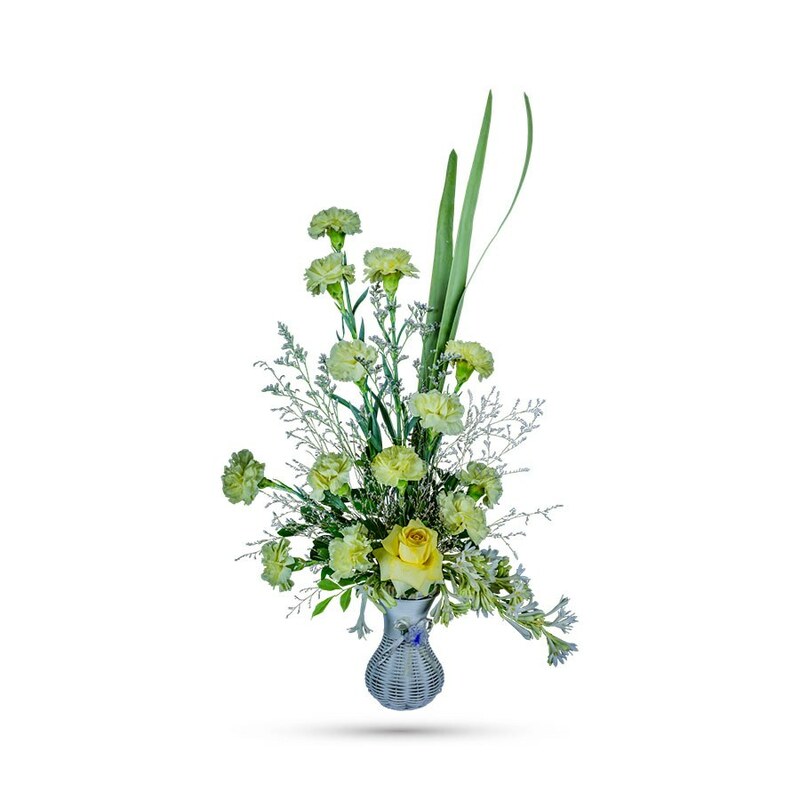 Bright yellow carnations and roses, white Rajaniganda, limonium and greens – just like the sun peeking through the morning clouds behind a tree – are dramatically showcased in a contemporary white bamboo vase accented by a chiffon bow. Do you know someone who could use a little sunshine? 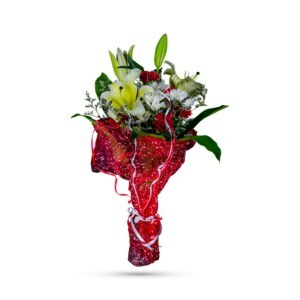 If you do; send him/her a shining smile with our bright and fresh bouquet on your anniversary, his/her birthday, to congratulate or to surprise that special someone. 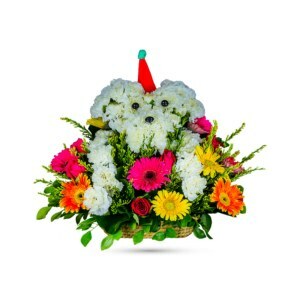 Order online today on our website and our marvelous arrangement will be delivered to your doorstep. The popular white vase will be seen a glittering gift for now and forever. So order it today and preserve your mesmerizing memories for the years to come!